The 2010 Winterlights festival schedule is out, and there are enough markets, concerts, exhibitions and weird Christmas traditions to cheer up even the biggest scrooge. My personal favourite is the famous Christmas market on the Place D’Armes, where you can blow your Christmas bonus on wooden toys, mulled wine and gromperekichelcher while the bandstand hosts bands and choirs galore. 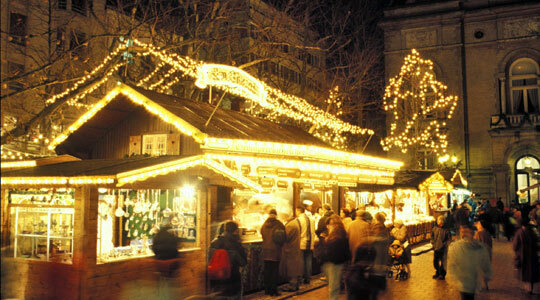 It’s a wonderful festive atmosphere which should not be missed. To find out more, visit the Winterlights website or download the pdf.